In college, I kind of lost fervor for the cause when I was focused more on schlepping drawings and models and chipboard around campus. No one in studio noticed if my purse matched my shoes. I tried to keep a few "going out" things meant to hold lipstick instead of history books but they rarely got used. 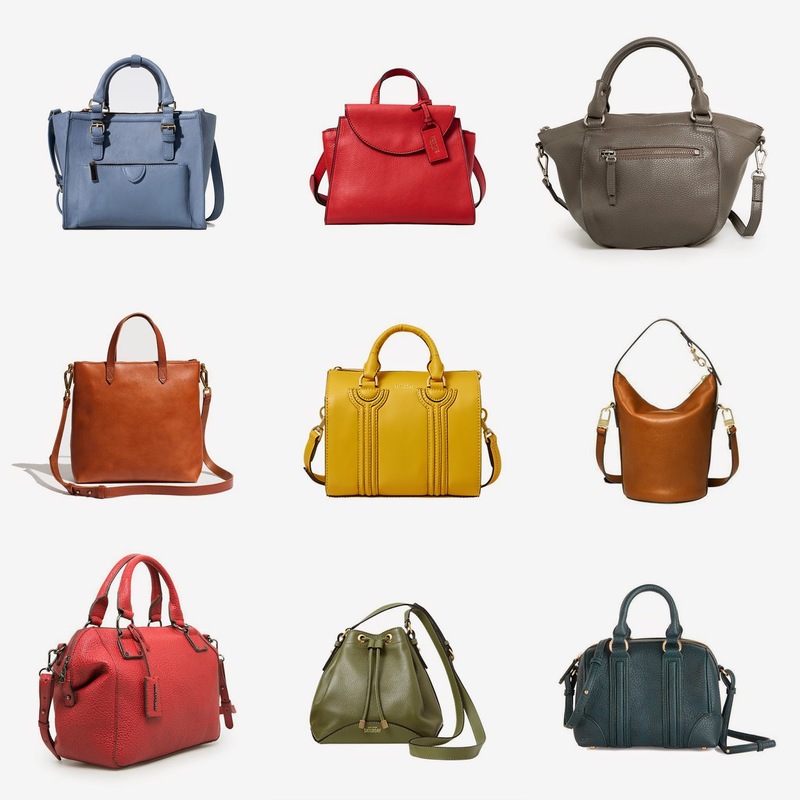 So I'm the hunt for a new, perfect bag for our trip to Italy. I'm looking for something on the smaller side--enough for my wallet, phone, bottle of water--so I don't kill my shoulder while out being a tourist all day. I want it to be accessible for quick gelato transactions but also secure enough to ward off pick pockets. Any suggestions that meet my wildly specific list of requirements? Which one do you like above? I like them all, I'm not sure I can decide!! I think my favorite one is 2nd row, left side. Just so simple and classic, and not bulky and in the way when you have it hanging by your hip. I found an awesome Steve Madden satchel at TJMaxx for our Europe trip that worked PERFECTLY for travel. It's small, lightweight, and held what I needed it to but didn't kill my shoulder. I'll have to find a pic for you. However, it's on the small side for everyday use. What if you got something smaller for your trip and then got a larger one for everyday? Just a thought! I vote for the grey, yellow, or teal - but you really can't go wrong with any of them! Have you checked Brooklyn Industries or Muji? I have one from Muji that I bought for traveling 5 or more years ago, it doesn't look huge but holds a ton of stuff and is comfortable! It also doesn't have the "travel bag" look. But I do love Zara and Mango bags above!